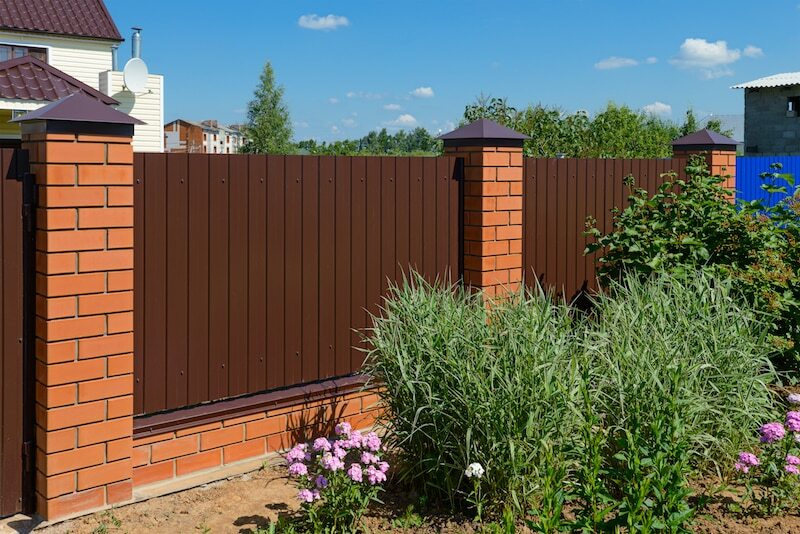 Brick infill fencing offers incredible diversity in design options. It offers security and privacy, while still providing visibility. Custom brick infill fences are usually a combination of brick or stone pillars, with sections of steel fencing. The final looks can range from modern to heritage, and everything in between. For a heritage look, you can pair red brick pillars with star steel pickets. For a modern look, you can opt for rendered pillars with straight section of steel fencing, and for an opulent style, why not go for stone pillars. Everlast Services loves this type of fencing, because it allows us to show all our expertise and create a finished product that is everything a fence should be – a design piece that offers privacy and security. Why Choose Everlast for Your Brick Infill Fencing? We are 100% Australian owned and operated. We are also committed to giving back to the local economy, by proving extra jobs in our manufacturing plant and only sourcing locally-produced products. Our manufacturing plant in Hoppers Crossing in Melbourne, gives us complete control over our products. We can attest to the quality of the products we pass on to you, because we designed and manufactured them ourselves. You can rest assured that Everlast Services installed brick infill fences will last a lifetime. Our provision of quality products and outstanding service doesn’t come at a price. We love making our services available to as many customers and possible, and that’s why we work hard to keep our price quotes reasonable. We’ve been designing and installing fences for over 20 years. In that time, we’ve worked with all sorts of properties and built all sorts of fences. There’s nothing we haven’t done or can’t do, and you’ll love what our experience and expertise brings to the table. We offer much more than brick infill fences, we can also provide you with a landscaping, gate, decking and concreting service.